Casino Heroes – Winter Games | Weekend! 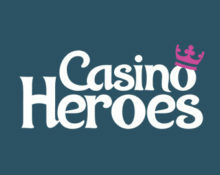 Play for a share of €4,000 in cash prizes plus fight with the dragon sisters for Free Spins on deposit. 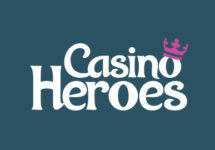 Yet more exciting days that will warm up your winter gaming at Casino Heroes. Compete for cash prizes in Missions, Tournaments and Races, enjoy special offers and giveaways and, most importantly, have fun throughout the first month of the new year. Let the Winter Games begin. Deposit €10 to instantly receive 20 Free Spins on Dragon Sisters from Yggdrasil. Free Spins will instantly be added to the Treasure Chest after making a qualified deposit. Wagering requirement is 40x FS winnings within five days, subject to the Casino Heroes bonus terms and conditions.